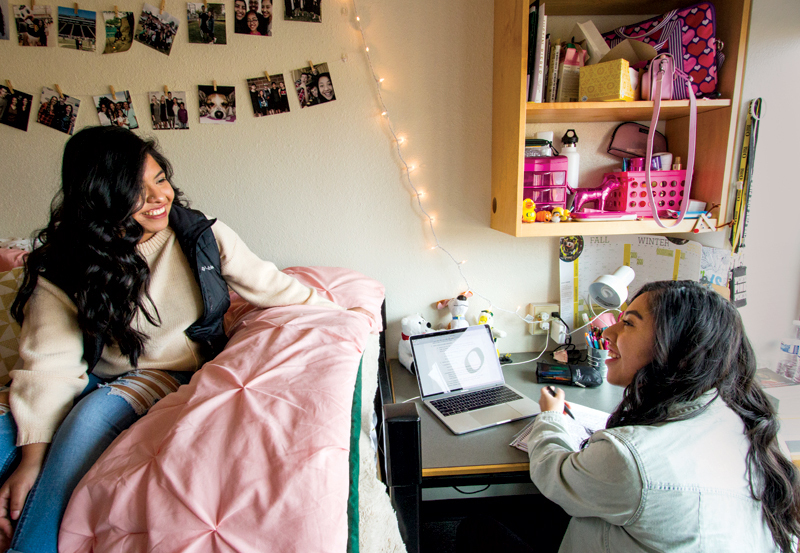 As you think about where you want to live on campus, you may want to learn more about the communities, room types, and residence halls at the University of Oregon as well as the costs, which are determined by the type of room and meal plan you select. Living on campus is a great way to make friends and get involved. Not only are you making friends and memories that will last a lifetime, you are creating a foundation for success, connecting with faculty, and transitioning to college life. Once you have been admitted to the UO, you can apply for housing. You will want to learn about the different academic residential communities on campus as well as the room types and the different residence halls on campus. This information will help you fill out your housing application. 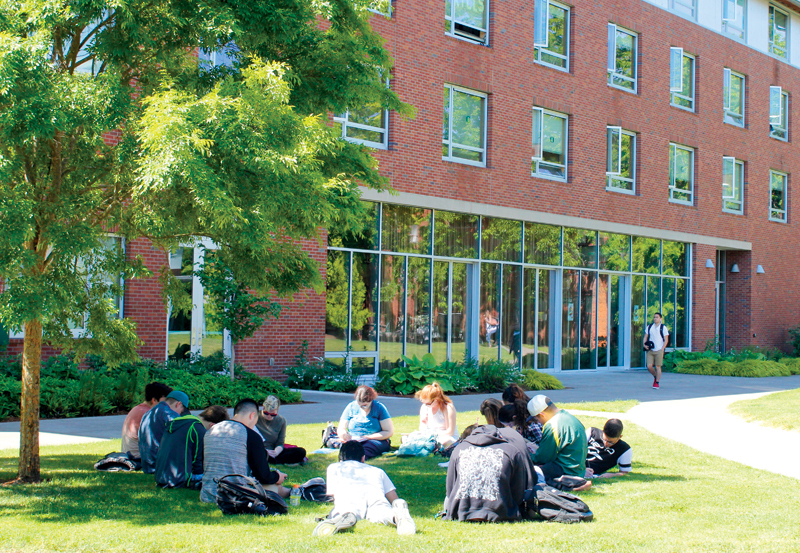 First-year students at the University of Oregon live in the residence halls. First-time, full-time freshmen from the US have higher GPAs, higher retention rates, higher graduation rates, and faster graduation times when they spend their first academic year living in University Housing at the University of Oregon. All students are welcome and encouraged to live on campus at the University of Oregon. Transfer students find that it is a great way to learn about campus and get involved. International students live on campus for their first year at the university. American English Institute (AEI) students should contact aeiservices@uoregon.edu for assistance in applying for housing. Family housing and university apartments offer wonderful environments suited for students with children, students who are married or in a domestic partnership, and students who are at least 20 years old. We provide a warm, diverse, academic community where everyone can thrive. Our staff is committed to working with residents to encourage the development of interactive and supportive communities. This is accomplished through creative programs and activities and committed staff who care about your academic and personal success. Learn more about university apartments and submit an application. Check out the step-by-step guide for how to apply for housing for first-year students, transfer students, international students, and students who lived on campus their first year and want to return for another year, as well as information about housing options for graduate students and families. You have many room types to choose from at the University of Oregon. About 80 percent of the rooms available on campus are double rooms, but there are also triple rooms, single rooms, and suite-style rooms available. When you apply for housing, we’ll ask you to pick your top five room choices by building. There are ten residence halls at the University of Oregon. Learn about the academic communities in the buildings as well as location, amenities, and academic support at each building. 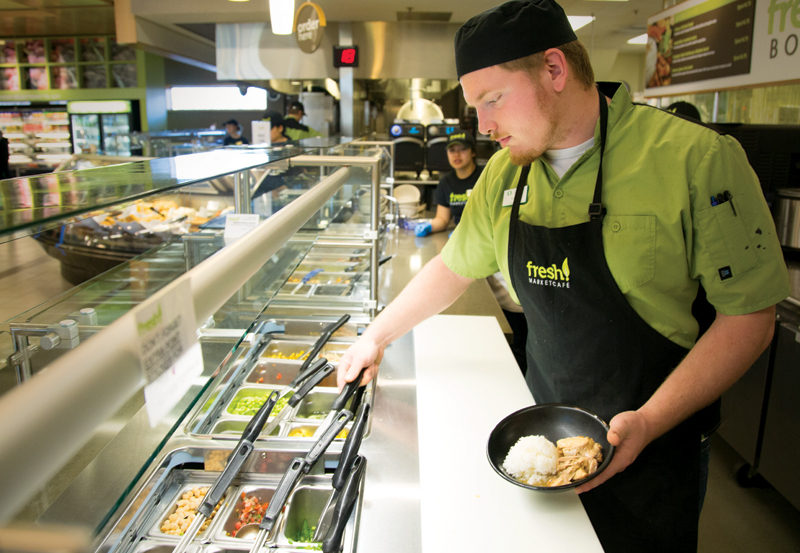 Meal plans are included for all students living on campus. University Housing offers five meal plans so you can find one that fits you best. Meal plans can be used at our nine locations that accept meal plans. Meal plans also include $50 of Duck Bucks per term that can be used for goods, services, food, and beverages across campus at locations such as the copy center, libraries, and the EMU student union. Carson Unlimited meal plan is only accepted at Carson Dining. If you have questions about living on campus or you have a need related to a special accommodation, we would be happy to work with you. Please contact University Housing at 541-346-4277 or housing@uoregon.edu. For disability-related requests please contact the Accessible Education Center at 541-346-1155 or uoaec@uoregon.edu.